This post is sponsored by joy. How many times have you changed your outfit because you realized too late that your legs weren’t quite show-ready? This happens to me all the time. And, since shaving usually takes me a long time, it’s easier to just change. But, wearing my best outfit for a day helps me show up feeling and looking like my best. So, being ill prepared for leg-hair situations is not acceptable. I was intrigued, then, when I learned about joy. 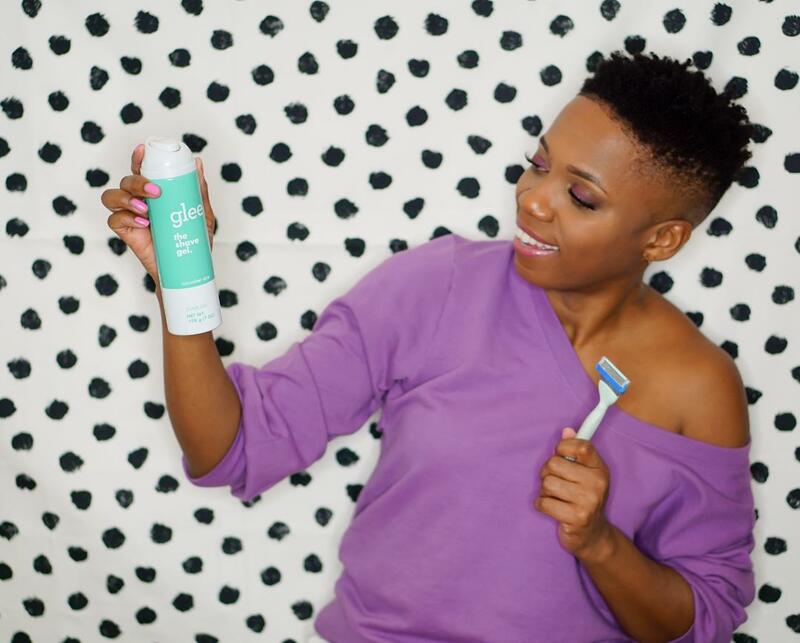 The joy razor is a brand new shaver for us women that promises to make shaving simple and even joyful. Got your attention too, right? I like to keep my beauty routine simple, which is probably why I neglect shaving until I absolutely have to. joy got my full attention with its uncomplicated design that makes shaving simple. Get this. 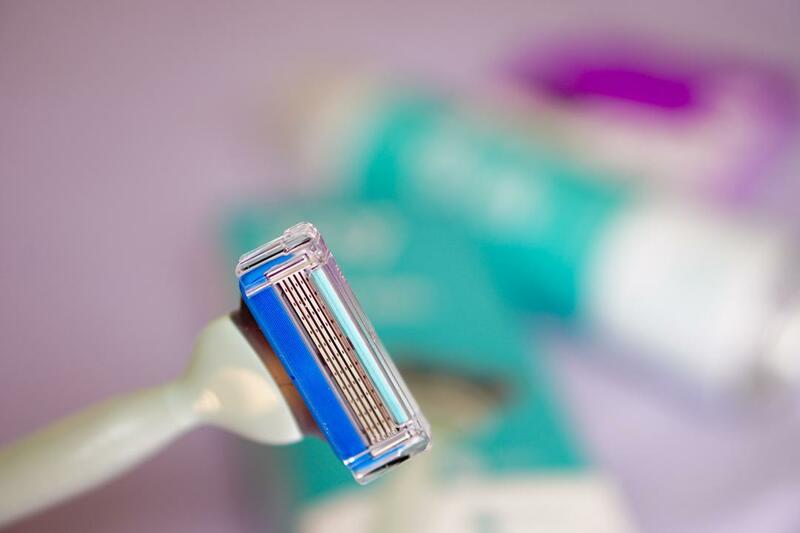 The joy razor has five blades! These five blades give such a comfortable shave and remove hair so well. That’s a fact! When I realized how amazing this razor was, I made sure to stock up on refills to stay ready for all hairy situations. The joy razor is available only at Walmart. I also picked up some glee shave gel, available only at Walmart. 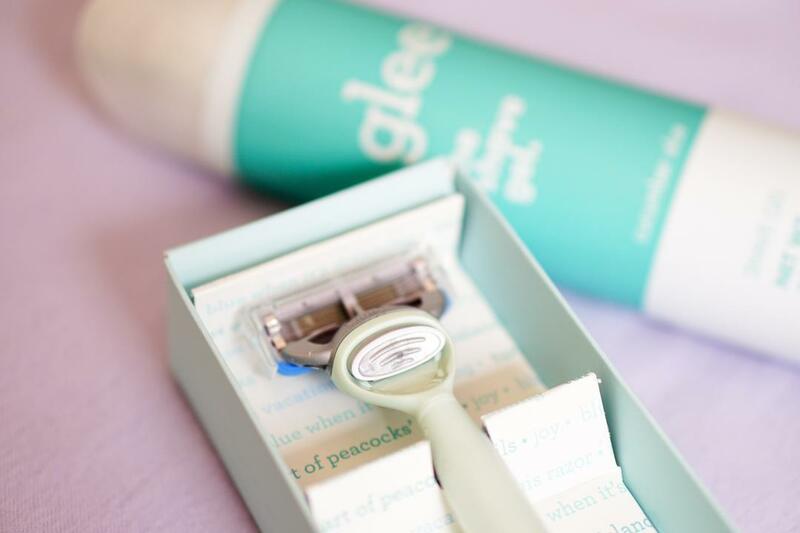 I must admit, until I started using glee, I’d been using any shampoo on hand to shave. Don’t judge me, y’all! Glee, though, available in a mousse (refreshing summer lily scent) or shave gel (calming cucumber and aloe) has converted me. I’m using the gel below. Do you see that rich lather it gave me once it hit wet skin? I feel especially comfortable using my joy razor with this shave gel. It’s smooth sailing! You know what else I like? 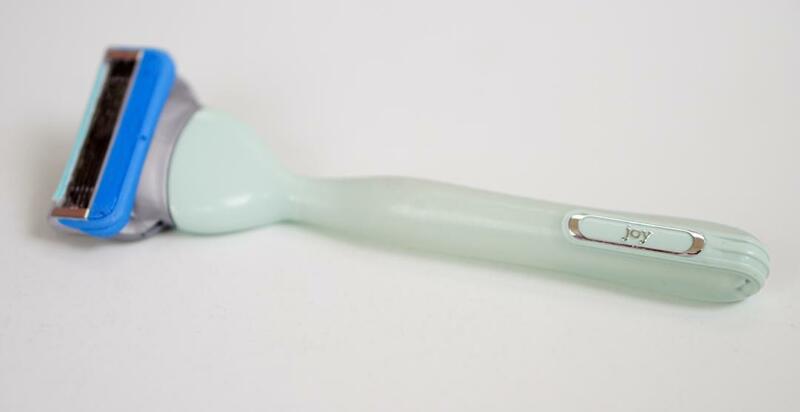 This joy razor has a non-slip grip. It doesn’t slip when my hands are wet nor covered in gel. I’m really digging that. If hairy situations ever present a challenge to choosing your optimal outfit for tackling a day, this system is for you. Now that I have joy and glee, I stay ready for shorts-weather, skirt season, all of it! That jumpsuit is gorgeous! I have been trying to get into jumpsuits, however, I’m require functional fashion and jumpsuits seem to hinder gracefully relieving myself. Do you just deal with it or have some secret tips to share? BTW: I was in St. Louis for business travel and stopped by Kindred. It’s everything you post about and I truly enjoyed my shopping experience. I heard you were coming into the store later that same day and regret that I missed greeting you. You remain my favorite blogger for nearly a decade! Be well. Thanks so much, Candice!! And, thanks for being a longtime reader. Yes, the associate at Kindred mentioned you to me. I’m so sad I missed you, especially since you were only here on business. Regarding jumpsuits, they’re all a struggle when it’s time to use the restroom. 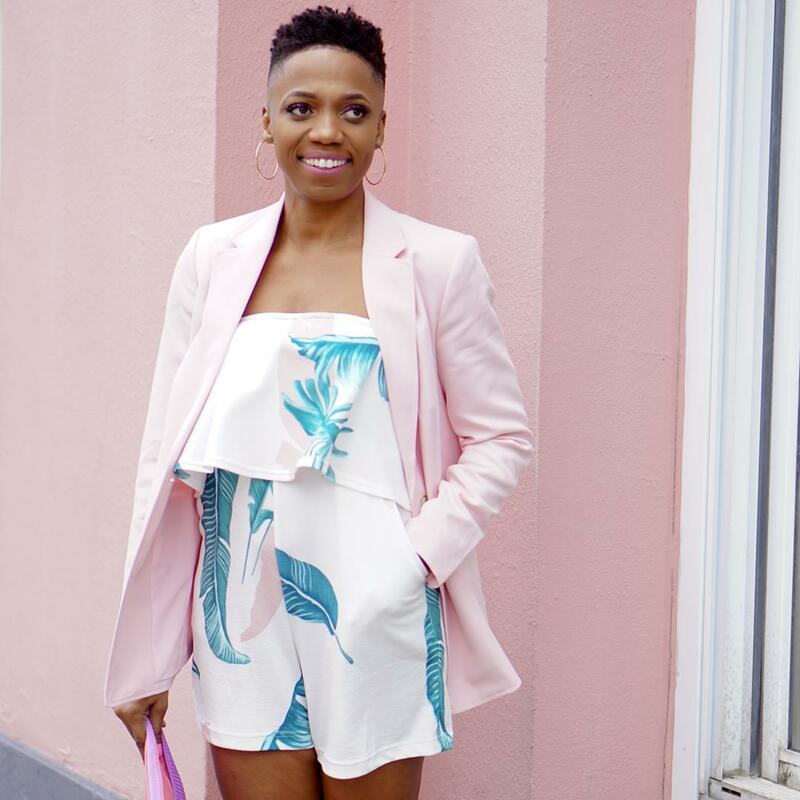 There are two things I do: (1) I find jumpsuits that are easy to get on and off (no hard-to-reach back zippers or buttons, etc), and (2) I’m mindful about where I choose to where them. For example, I’d never travel in a jumpsuit or wear one to an event with sketchy bathroom access.